100% Old Vines Carignan from Carmel mountain slopes. 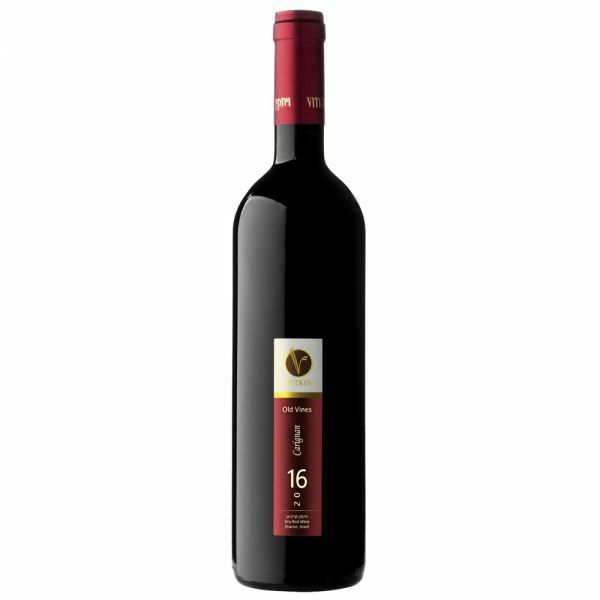 As the pioneers of quality Carignan in Israel, Vitkin Winery is especially proud to present the 15th edition of this wine since its debut in 2002. Our Carignan is sourced from bush trained, dry-farmed old vines that consistently yield grapes rich with color & structure. The wine was aged 16 months in 500 liter French oak barrels. Deep dark red-purple in color, Vitkin Old Vines Carignan is full-bodoed palate with intense aromas and long finish. Under proper storage conditions, it will age gracefully for at least 8 to 10 years. This wine was no tfined or filtered, therefore natural sediments may occur.